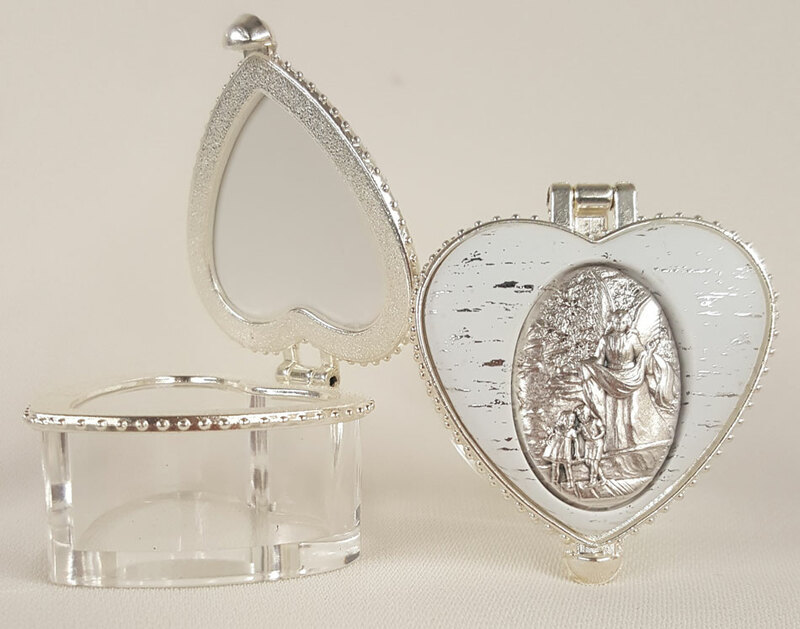 Goldscheider of Vienna, Inc. - Wholesaler of Religious Art from Italy - B10-GA, Guardian Angel Rosary/Jewelry Heart Shaped Clear box, 2x2"
Home :: Angels :: B10-GA, Guardian Angel Rosary/Jewelry Heart Shaped Clear box, 2x2"
Guardian Angel Rosary/Jewelry heart shaped clear box, 2x2", $17.50 each or $15.00 each per assorted dozen (B1,B4, B7, B10). This heart shaped box is available in 4 additional subjects.... Guadalupe, First Communion, Holy Spirit, & Miraculous Medal. Made in Italy.